These cookies have a variety of names: you might now them as meltaways, snowballs, and today, as Mexican wedding cookies. Perfect holiday cookie for sure – but amazing all year round! When you bake the perfect cookie, you want to share it with the world. That’s why this batch of cookies was sent out to six lucky friends in my address book! These are Hazelnut Mexican Wedding Cookies and I promise, they will change your life in the best of ways. 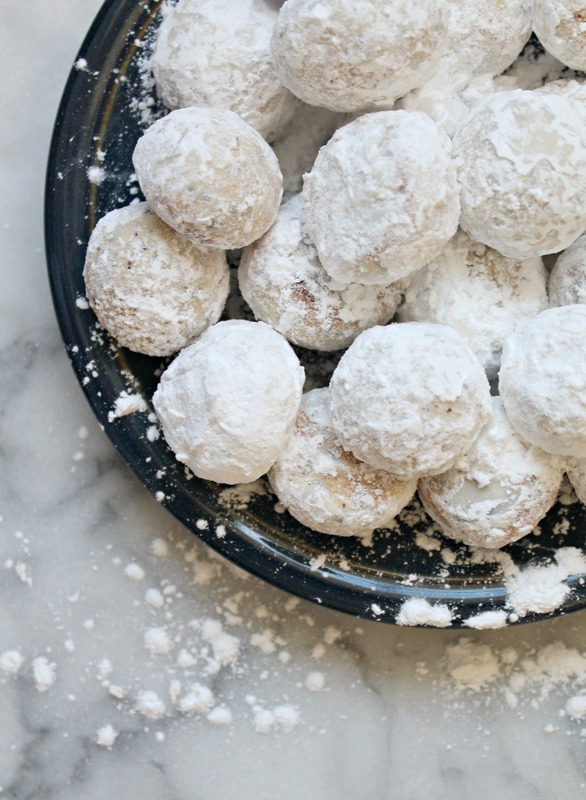 They do take a little longer to make than other cookies, because you need to roll them and toss them in powdered sugar, which can get messy, but they are worth the extra ten minutes you’ll spend. This cookie recipe calls for hazelnut flour and if you can find Bob’s Red Mill nut flour, use that. If you can’t, just buy some shelled hazelnuts and grind them up in your food processor until it becomes as fine as a nut flour. These cookies also come together with a wooden spoon and a large bowl, so no need to pull out a mixer for the task. 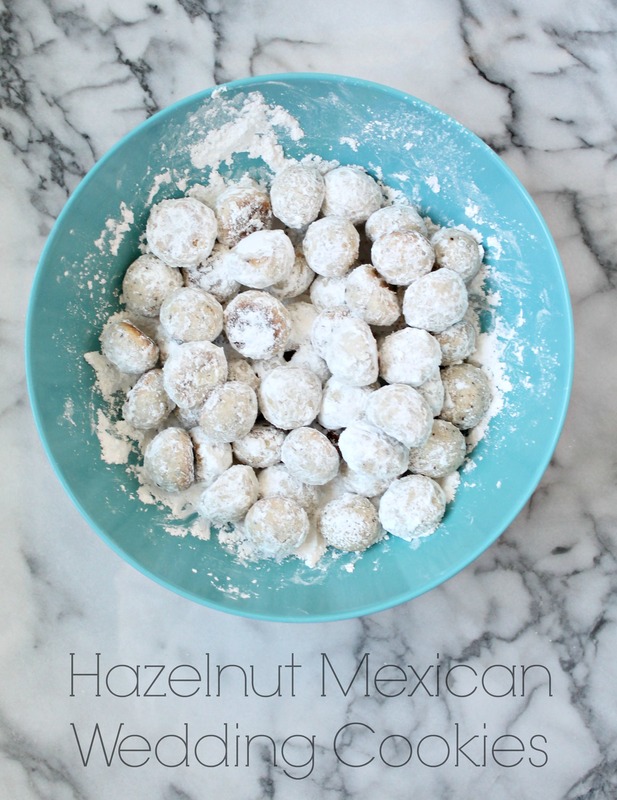 Hazelnut Mexican Wedding Cookies will melt in your mouth thanks to my use of powdered sugar instead of regular granulated sugar in this recipe – plus the hazelnut flavor is subtle yet nutty enough. Go forth and bake – I recommend a double batch: one to give away and one for yourself! These melt in your mouth cookies are just the holiday cookie recipe you need! In a large bowl, mix other the hazelnut flour, butter, and powdered sugar, until incorporated. Add the rest of the ingredients and form into a disc/ball. Shape into small, round balls and place on baking tray. Baking for 12-15 minutes. Let cool a bit - but after about 10 minutes out of the oven, slide the still warm cookies into a bowl of powdered sugar to coat. Leave in bowl for an hour until they cool. Keep in an airtight container for up to a week. mmmm I love hazelnut flour, and these cookies are such a delish classic! These are OUTRAGEOUSLY delicious – and Mexican wedding cookies are one of my absolute favorite things in the world!